March is finally upon us! The groundhog didn't see his shadow last month so that means spring weather should be here any day now. Seriously, I'll take those temps over 50 now thanks. It snowed again this past week so I'm not sure when that will happen, but I can't wait. 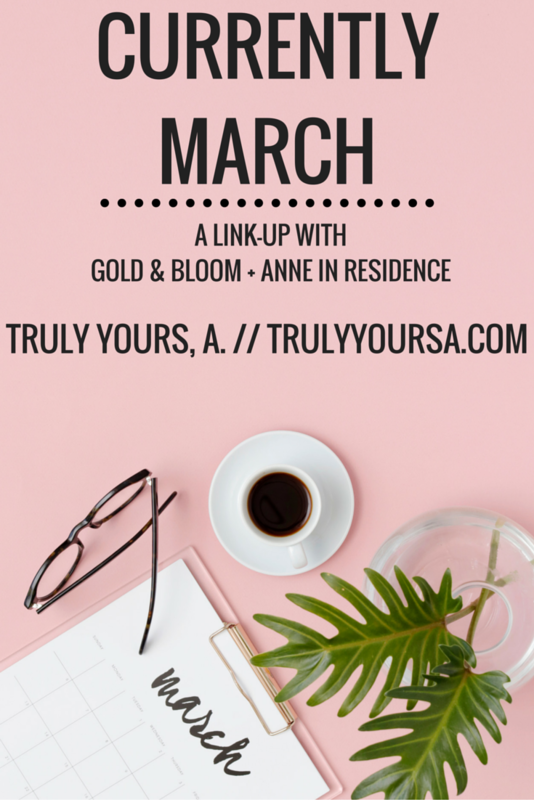 A new month also means a new Currently link-up with Jenna from Gold & Bloom and Anne from Anne in Residence so keep reading to see what I'm wishing, craving, going, wearing, and learning for the month of March. there was more time in the day. Between my commute, work, blogging, and everything else (aka Netflix!) I just feel so behind on everything. I feel bad because I'm missing deadlines and just not doing what I should be. I'm hoping to catch up on everything soon. anything sugary sweet! Normally I don't eat sweets, but lately I've been craving juices, ice cream, candy, anything with loads of sugar in it. I've also been craving these mozzarella/pepperoni snacks by Volpi - so good! crazy over Friday Night Lights. It's my latest Netflix binge pick (after The Vampire Diaries) and I can't get enough. I love any show/movie that's sports related so I'm obsessed. anything but leggings and t-shirts. I've really stepped up my clothing game lately and steered away from leggings, t-shirts sneakers. I'm sure once spring/summer rolls around I'll be wearing them all the time. how to let go and stop being a perfectionist all the time. Things aren't always going to go the way I want them so I have to stop stressing out and let it happen. What are you wishing, craving, going, wearing and learning? 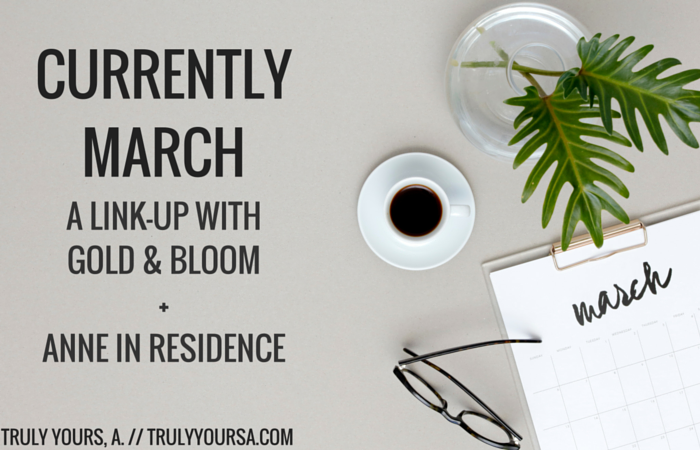 Let me know in the comments or link-up a post of your own on Gold & Bloom or Anne in Residence! Don't forget to share this post if you like it by using the buttons below.